At the Mitton Group, our total commitment to health and safety is one of the key elements of our continued success, ensuring that our people work to the highest possible standards and take individual ownership of health and safety matters. We take health and safety very seriously. 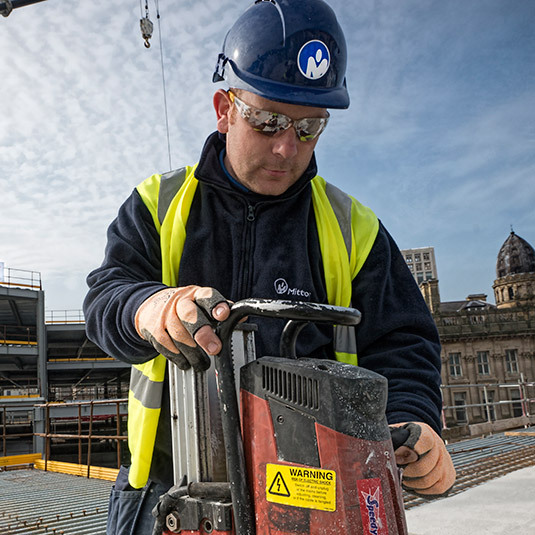 Across the Mitton Group, it is recognised that a robust, compliant and effective health and safety culture plays an essential role in our long term plans to continuously expand and improve upon the services we offer. We are dedicated to protecting both the people who work for the Group and those who are involved with or affected by our work, including employees, contractors, our clients and their staff and the public at large. To ensure that we continue to operate in full compliance with increasingly complex health and safety legislation, we strive to maintain health and safety standards that are second to none. At the Mitton Group, all our activities are governed by a documented internal Health & Safety Management System. This provides rigorous control of all aspects of health and safety, including risk management for the services we undertake. For both contractors and clients, this system gives the necessary reassurances required by all parties. Our internal Health & Safety Management System comprises rigorous health and safety documentation and working practices, continuously monitored by our dedicated Health & Safety Department and regularly reviewed with the involvement of committed employee representatives. In order to ensure we operate in accordance with the latest innovations and developments, we are an active registered member of the Building & Engineering Services Association (B&ES). Our involvement with the Association, with its long standing reputation for professionalism and strong focus on health and safety, helps to keep us at the forefront of our industry. Representatives from the Mitton Group attend the Association’s regular Safety Focus Meetings and undertake their disciplined and rigorous Competence Assessment scheme which provides Safety Schemes in Procurement (SSIP) recognition. The Mitton Group holds a range of accreditation’s to provide assurance of compliance for our wide client base, covering the services we offer. These include Safe Contractor, Altius, Construction Line, BESCA and Legionella Control Association. We are committed to ensuring that all our employees hold relevant and current qualifications to maintain consistently high levels of competence. All our Supervisors have the Construction Skills Site Supervisors Safety Training Scheme (SSSTS) Certificate, and our Managers have the Site Managers Safety Training Scheme (SMSTS) to enhance their capabilities for and awareness of health and safety legislation and the standards expected. We have brought together years of experience from all M&E associated trades with expertise in all areas of installations, commissioning servicing and maintenance. We offer a professional management structure and a highly trained and flexible skill base. Health and Safety is of paramount importance to all at the Mitton Group. We are proud of our established health and safety culture and remain committed to continuous improvement in this field.